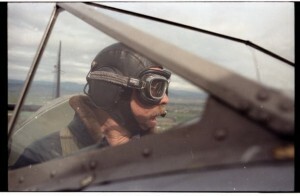 The term “aviator”, as opposed to “pilot” or other terms, was used more in the early days of aviation, before anyone had ever seen an airplane fly, and it was used to show connotations of bravery and adventure. Bill Warren was an aviator. So, too are most of the pilots who sport a grey hair today. They flew in the ‘Good Ole’ days, before the overbearing FAA manifested itself. These aviators experimented, tested, engineered, and discovered. Many such aviators are no longer with us. Those who are hold a wealth of information. Their experiences, tests, and experiments are the treasure that is aviation. It is our hope they will be willing to share it with the rest of us, so we can help keep the rooted spirit of ‘aviating’ alive. Just a few are listed here. More are added as they are referenced in the images of SkyBilly.com.